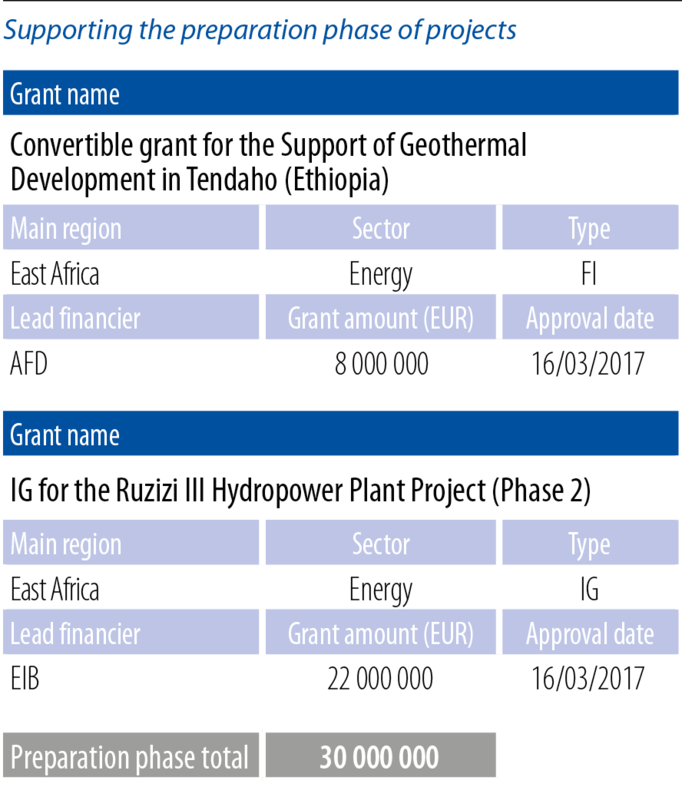 2017 saw the approval of ten new grant operations, in support of seven different projects, for a total amount of EUR 73.6 million. The large majority, i.e. 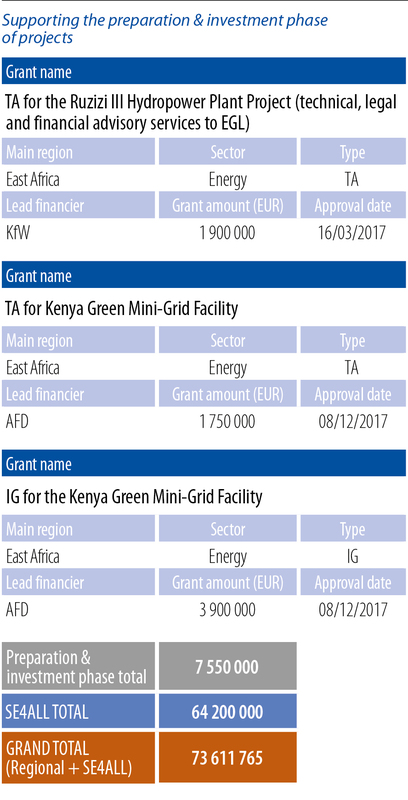 nine grants worth EUR 64.2 million, went to the energy sector and were approved under the EU-AITF’s dedicated SE4ALL Envelope. 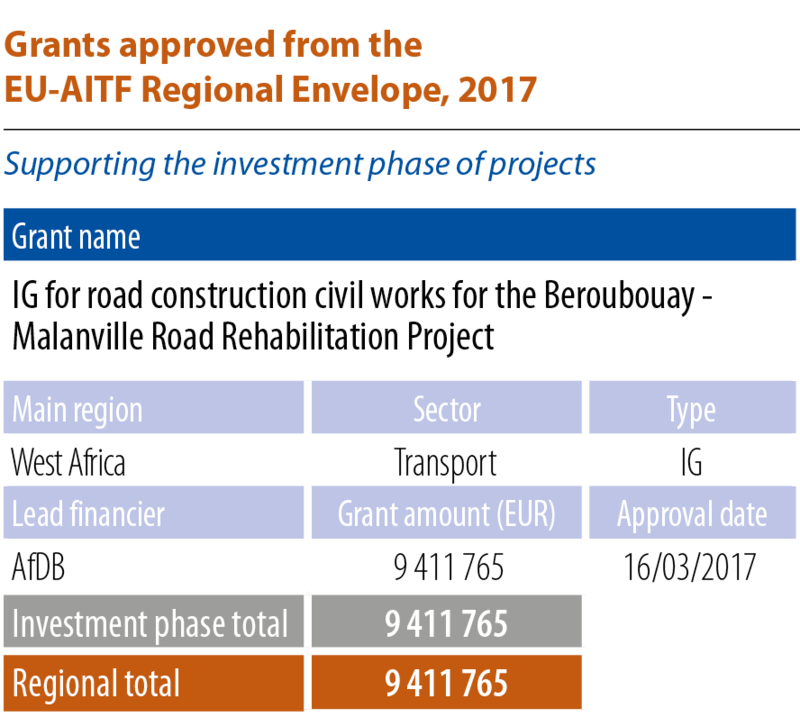 One grant, for EUR 9.4 million, was approved under the Regional Envelope, for a project in the transport sector. The project will possibly not be implemented under AfDB’s lending programme. Therefore, there is no description available for this project. More than half of the 2017 approvals, in terms of amount (EUR 43.6 million), support the investment phase of projects. These grants are expected to leverage EUR 940.3 million of investments, which is 21.6 times the grant amount.